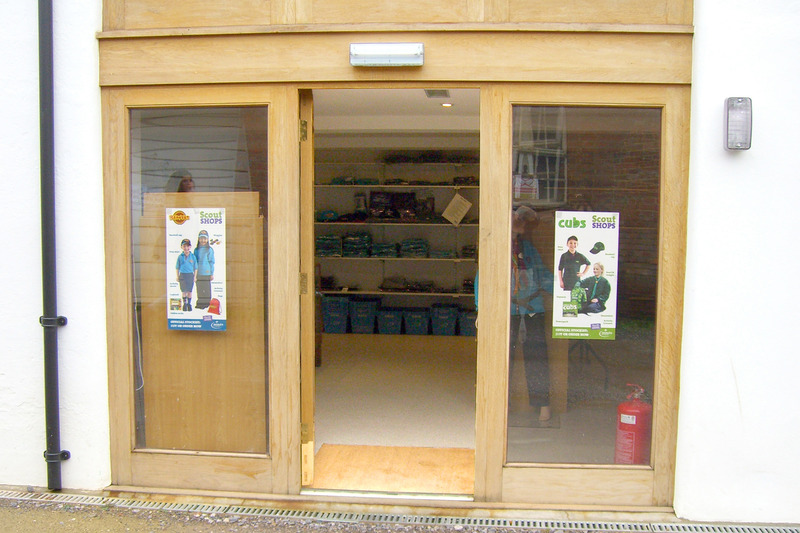 The Farnham District Scout Shop has been set up to meet the Scout Association members’ needs for Farnham and the surrounding area. It is managed by the Farnham District Scout Association and all staff are volunteer helpers with all profits passed on to support Scouting in Farnham. 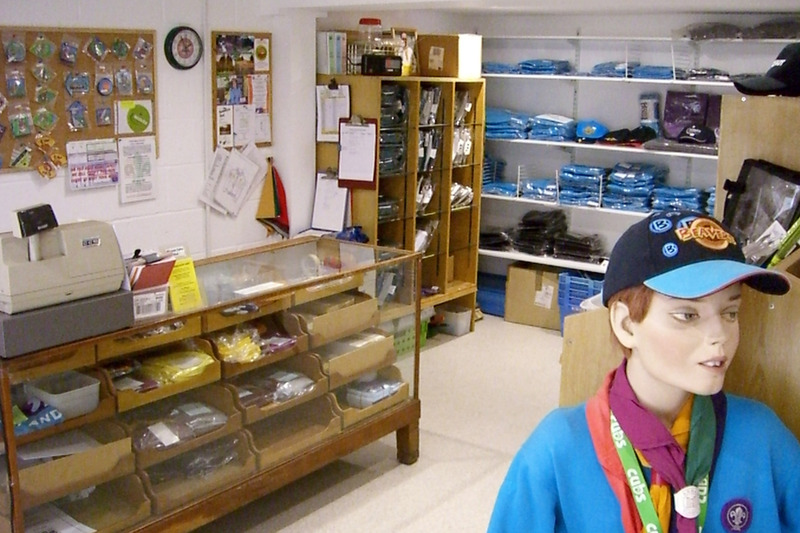 We are stockists of all uniform items, accessories and badges for Beavers, Cub Scouts, Scouts, Explorer Scouts, Network, SASu and Leaders (we regret we do not stock Brownie or Guide uniforms). For uniform special needs, odd sizes etc. not normally in stock we can usually order the item for delivery within 7 -10 days. We stock adult and juvenile size scarves – ‘neckers’ – for all Groups in Farnham plus those Groups in our surrounding area who have requested we act as stockist on their behalf. For those scarves we do not stock we are able to order any colour combination providing the minimum order quantity is met (typically 10). If not held in stock plain coloured scarves usually arrive within 10-14 days and multi colour combinations 4 to 5 weeks. In addition to uniform we stock the full range of uniform badges, publications, books, certificates, posters and training needs for all Scouting sections. We are also able to supply either through stock or by order, Group Name Tapes (via Cash’s Order Cards), Flags, Leader Name badges, Lanyards, Whistles, Pin badges, Compasses, Trophy Cups, Awards, Hiviz jackets etc. On the lighter side we stock Blanket badges, Blankets, Poncho’s, Puzzles, Staves, Mugs, Drink Bottles, Beanies, Key fobs, Scout Stickers, Wrist bands, Pioneering model kits etc. We also hold a small stock of hike and camping items including Billie sets, Plates, Camp Cutlery, Metal peg sets, Large sisal string balls, Fire starters etc. Wooden peg sets and other camping items sold by Scout Shops Ltd can be ordered. Why not drop by for a look around and in the process pick up a free Scout Shops brochure which details what we stock, our charges and what we can order. Our prices are set by the Scouting Association and are typically as found on the Scout Shops Ltd website with nothing added. By buying through us you avoid delivery charges, ensure any proceeds go to Farnham Scouting and as the shop has its own changing room you can try on the goods before buying. 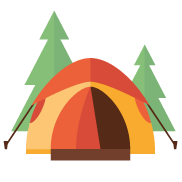 You can also take advantage of our friendly and experienced scouting staff if you have any questions or concerns. We will readily exchange items purchased through us providing they are returned promptly in good re-saleable order and accompanied by the relevant shop receipt. We only close during the Farnham Schools Easter, Summer and Christmas holidays. Please note that we can only accept cash or cheques, sorry no debit or credit cards. Please note that if you put the above postcode into a SatNav or use such as Google Maps it will take you to the centre of the surrounding postcode area rather than directly outside the Shop so please be prepared to walk a few extra yards to locate us (nobody as yet has ever failed!). Car Parking is available at the nearby Hart or Waitrose supermarket car parks, just a couple of minute’s walk from the shop. Please note that the shop does not accept mail deliveries or have a fixed telephone (phone calls to the number below are directed to the Shop Manager’s home). For all queries please e mail Scoutshop@farnhamscouting.com or call day/evening 01428 – 607848. Sorry but whilst queries can be handled by email or phone, orders or sales can only be taken at the shop. We are always on the lookout for volunteers to help out at the shop. If you can spare a couple of hours for one evening or one Saturday morning a month please make contact via the e mail or phone above. All our Volunteer Helpers are given simple training and work in pairs. It is fair to say that working in the shop can be as much a social event as a selling ‘stint’ and refreshments are provided! Why not give us a try out and in the process help young folks in and around Farnham?